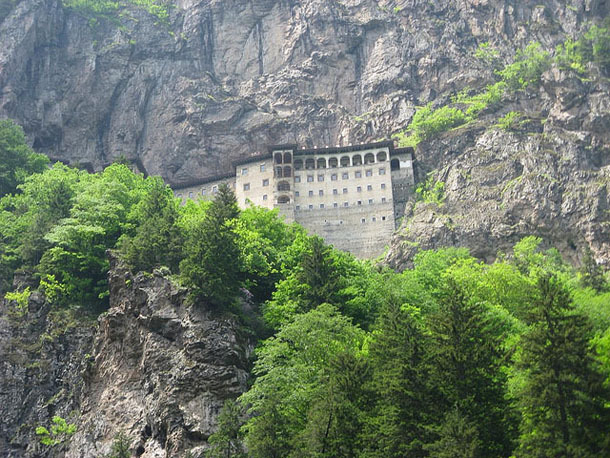 To reach the Sumela Monastery you have to climb a mountain through the atmosphere of Tolkien, a deep green forest where you see low clouds, fog, undergrowth that vents moisture and rain.. 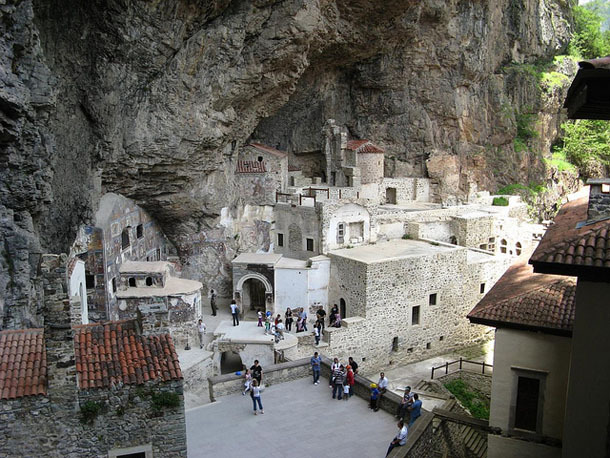 The monastery is nestled in the rock and the sight is beyond imagination. The old building is so close to the edge that you have a feeling that it will fall any moment and crash into the forest. Legend has it that the sacred building was built in 386 by monks climbers who worshiped a black witch. 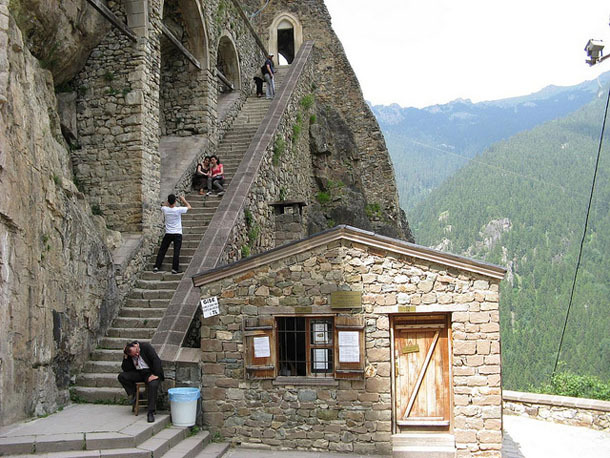 It is a church carved into the rock with study rooms, kitchens, bedrooms and a miraculous fountain. All framed by a magnificent aqueduct which seems to defy the laws of physics: the charisma of the place is that even under the Ottoman Empire was protected and preserved by Sultan Mehmed II himself. Even today, although ruined by neglect and idiocy of tourists, is visited by locals who despite being a Muslim, believe in the healing powers of its waters. Today the site, abandoned for several decades after the First World War, is protected by UNESCO, and has been partially restored by the Turkish government. 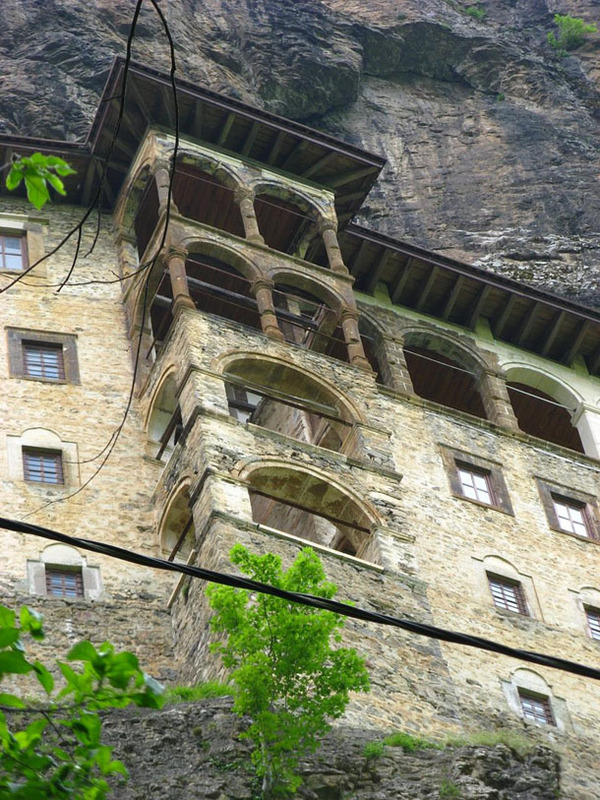 The monastery is located in the province of Trabzon which is closer to Georgia to Greece. 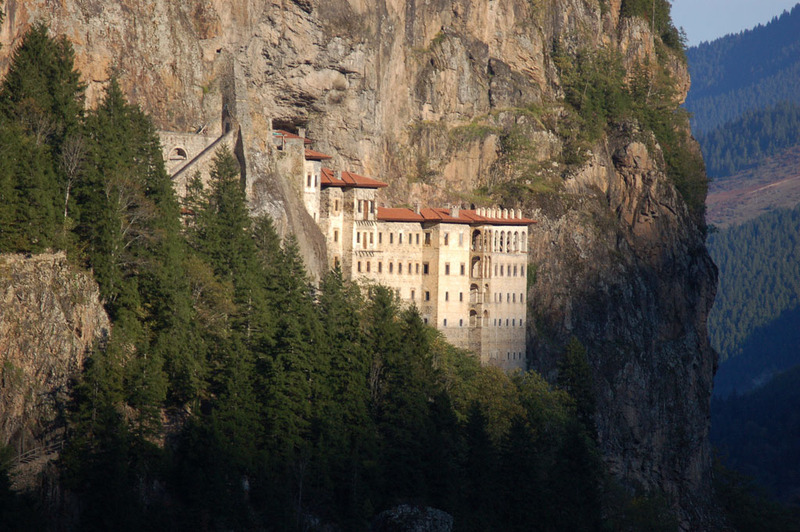 Admission costs 8 Turkish lira and usually you can get there with one of several guided tours that depart from Trabzon, 40 kilometers from the monastery (but there are also mini-buses between the monastery and the nearby Maçka).